Product prices and availability are accurate as of 2019-04-17 23:51:37 UTC and are subject to change. Any price and availability information displayed on http://www.amazon.co.uk/ at the time of purchase will apply to the purchase of this product. The wrench applied to M3+M2/M4+M2.5 hexagon nuts. It is an essential tool for DIY lovers. 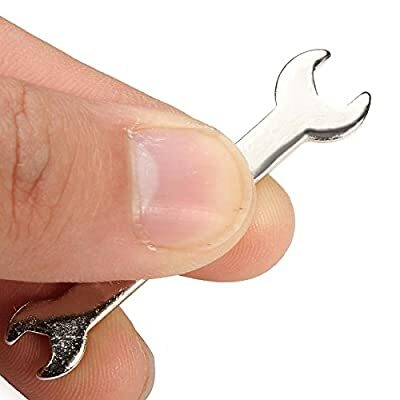 Note:This is the wrench that fits the nuts for 3mm,2mm and 4mm,2.5mm screws.